Online Captcha Solving jobs are one of the simplest methods to make money from home. Students, Housewives & Retired can earn money from Captcha Jobs. If you are aiming to fill your pocket with extra cash then become a Captcha solver & start earning money. No investment & no experience is required. Captcha solving jobs are low earning jobs because you can earn only up to $200(12,000 INR) per month. 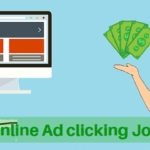 If you want to make more than $200 per month then you can choose other money making methods or you can earn from the best PTC sites along with Captcha solving. How to earn money by captcha solving jobs? Requirements to earn from captcha solving sites? CAPTCHAS are mainly used as a security purpose to make sure that only human users can pass through. 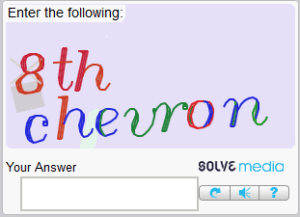 Generally, bots or computers are not capable of solving Captchas. There are many kinds of Captchas, most of the Captchas will display texts on images and users should enter those texts to complete the Captcha. The sample of an image type Captcha is shown towards the right. Solving Captchas is a very simple job. To earn money by Captcha typing jobs you need to join some Captcha solving job sites(see below) which pay you to solve Captchas. After joining Captcha job sites you need to login to your account and start solving Captchas. Those sites will display images with text on your screen and you have to type those texts and submit them. You can solve any number of Captchas in a single day. You can earn from $0.30 – $2 per 1000 Captchas. The more Captchas you solve, the more you will earn. Follow same Procedure to create accounts on Coinbase or PerfectMoney or any other Payment Processor. Below you will find a list of best Captcha Solving Sites of 2018 from which you can earn a decent income by solving captchas online. I recommend you to join all of the below Captcha solving sites and try each one. Next, decide which one’s working better for you and stick with it. You can join all of the below listed best Captcha solving sites for free by using your email address. 2Captch is one of the very popular Captcha Solving sites which pay you for solving Captchas. As of Jan 2018, it is one amount top 18k ranked websites in the world. To earn from 2Captch you need to create an account then login and start solving captchas. The faster you solve the more will be your reputation. On 2Captcha You can also earn by referring friends. 2Captcha pays up to 10% commission from whatever your referral earns. MagaTypers is a captcha solving jobs service which is online and Paying since 2014. By solving captchas on MegaTypers you can earn up to $100 per month. The Alexa rank of MegaTypers is 57k which is good for a captcha typing jobs site. Megatypers pays 10% commission from referrals. Kolotibablo is yet another site which pays for online Captcha typing jobs. It is too a popular site among Captcha solvers. According to Alexa, it ranks one among top 49k ranked websites in the world. If you maintain a good accuracy then your earnings per 1000 Captchas will increase. ProTypers is very similar to MagaTypers because it uses the same script. According to Alexa rankings, ProTypers site rank is 132k as of Jan 2018. You can earn from $0.50 – $1.50 by solving 1000 Captchas. CaptchaTypers is yet another website that provides Captcha jobs. It is a little bit different from other Captcha sites. To create an account on CaptchaTypers click here. Check this guide to learn how to earn money by solving Captchas there. You can earn up to $2 per 1000 Captchas from CaptchaTypers. It pays via Payza, Indian Bank, Neteller, Bitcoin, PerfectMoney, WebMoney and Vietnam Bank. So these are the 5 best Captcha job sites to earn money by typing Captchas. The above Captcha solving sites can be used to earn from any countries like India, US, UK, Indonesia, etc..
Not satisfied with Captcha jobs because of low earnings? 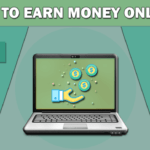 Then you should definitely check these worlds 10 best online money earning sites for beginners. 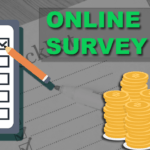 I guarantee that you will earn a lot from those sites than by typing Captchas. Below I have shared my Payment Proof of 2Captcha which was received on 29 july 2017. You can too receive big payments like me by working more and by referring more people. If you have any doubts regarding Online Captcha Solving Jobs then feel free to comment below. Thanks for sharing these captcha solving sites, I started solving captchas on 2Captcha and megatypers. Soon I will reach min withdrawal on those sites. Good Luck on your journey with Captcha solving sites. Please have a look at other money making methods to earn more money online. How’s possible you made $ 169 on 2captcha? They pay on this moment $ 0.38 for 1000 captchas. That means you watched 444 736 captchas! That’s impossible. Good Question. Actually I have tons of referrals on 2captcha and because of them I earned lots of commissions. Which site do you want to register? To register any site you need to click on the links provided above and then you need to complete the sign up process by filling the registration form. For which site do you want referrals? These are the one of the best lists of earning some good money from home. Why my kolotibablo account was banned? @kartik, Your kolotibablo account was banned maybe because you might have made mistakes while typing Captchas. I guess your account cannot be recovered. You can create a new account there. how many referrals are need in 2capcha to withdraw money? You don’t need any referrals. You just need to reach the min payout to withdraw your earnings. Has anyone had positive experience with ProTypers? I submitted the application and waiting for their reply.